A little over a week ago I started working out with personal trainer Becky Fox at Fox Fitness in Tampa. It’s been an AWESOME experience! Like I said in my introduction post, Becky is positive, patient and super motivating. I don’t plan on taking any of my measurements until my 21 day challenge is through, but between the workouts and Becky’s nutrition plan, I’m feeling like I have a lot of energy, and feeling stronger after each workout. In addition to the nutrition and workout plans, clients at Fox Fitness participate in a monthly goal at home on their own. During the month of May they focused on increasing their daily water intake. For June we’ve chosen to focus on flexibility and stretching. I’ve been really getting better at incorporating more stretching exercises and foam rolling while I’m at home- especially now that I’m on summer vacation!- so this goal fits in perfectly. 1. Make sure to include a lean protein at every meal. 2. Eat at least 1 serving of vegetables at each meal. 3. Eliminate all calorie-containing drinks (i.e., drink more water!). 4. Eat to 80% full, mindfully. Becky provides her clients with printable shopping lists filled with ingredients to help us meet our goals. In addition, she provides us with tips for serving sizes, sample daily eating plans (perfect for beginners! ), a list of pantry staples, and a tiered method of incorporating these healthy nutritional changes into our lives that will create habits that will stick for the long run. Yup. Good ol’ stuffed shells got a little make-over in my kitchen today! 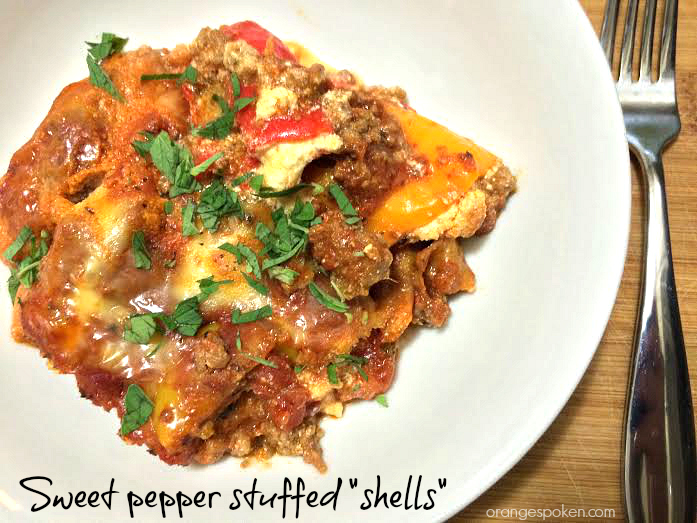 I’ve replaced the pasta in traditional stuffed shells with mini sweet peppers! And let me tell you- this dish is a winner! 2. Heat olive oil on medium heat in a large skillet. Add onions and saute until soft. 3. Add ground beef and saute until brown. While the meat is browning, set up a medium sized pot of salted water onto the stove and begin boiling the water. 4. Combine all of the ricotta, 1/2 cup mozzarella, all of the Parmesan, egg yolk and salt/pepper in a bowl and mix well. Refrigerate until you’re ready to use. 5. Add marinara sauce, and fresh herbs to the browned meat. Add a tsp. of salt (to taste). Reduce to low heat, cover and simmer for 20 minutes. 6. Add stemmed and seeded peppers to the boiling water and boil for 12-14 minutes until they’re just tender (this will make them easier to fill). Remove the peppers from the water, strain and cool. 7. Spoon ricotta mixture into each cooled pepper and set into an 8 x 8 baking dish. Spoon the meat sauce over the all of the peppers, and then top with remaining grated mozzarella. Cover with foil and bake at 350 for 50 minutes. Enjoy! And don’t forget to look up Fox Fitness if you’re looking to make some amazing and healthy changes to your life starting NOW! This entry was posted in Recipes and tagged becky fox tampa personal trainer, fox fitness nutrition plan, fox fitness review tampa, gluten free stuffed shells, grain free stuffed shells, stuffed shells without pasta. Bookmark the permalink. Oh this sounds good. May have to try this out. 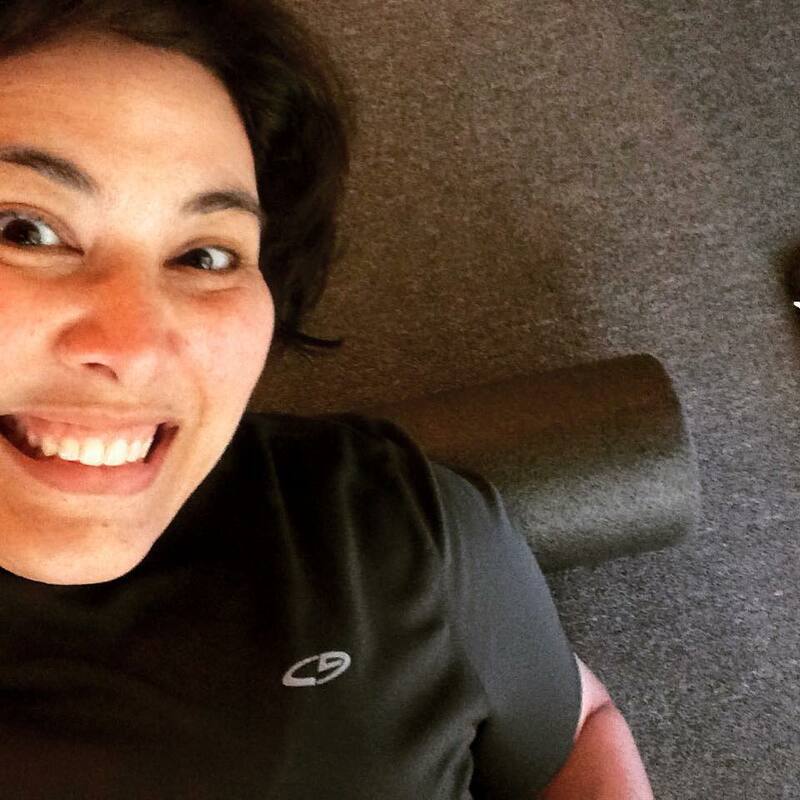 13.1 training & being a plus-sized "runner"